Welcome to Graduate Studies at the University of New Mexico! 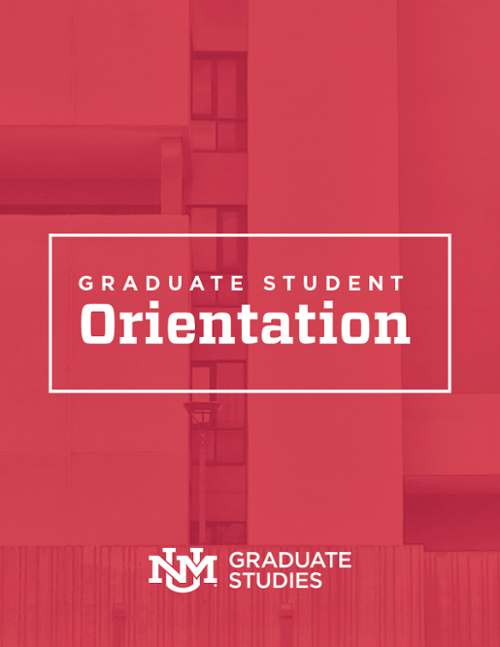 To help you achieve a smooth, successful transition to graduate student life at UNM, Graduate Studies has compiled an orientation booklet, packed with essential information about getting situated in Albuquerque and at UNM, details regarding enrollment procedures and expectations, overviews of student support organizations on campus, and more. We've also created degree roadmaps, which chart and explain your start-to-finish journey through a graduate degree at UNM.